Climate Challenge - Games4Sustainability. Read more. Players face the crucial trade-off between long-term sustainability and short-term economic growth. Can you deal with the complex problem of climate change? The Climate Challenge starts with a short introduction, explaining the rules of the game. The game is played in 10 rounds with six teams. Each team starts at one of the six extremities of the board and represents a (invented) nation. Each round consists of two parts: decision time, where teams decide on what they are building next, and central time. Rounds 3, 6 and 8 also contain a third part: negotiation time. The goal is to have the highest revenue at the end of round 10. After the game, the learnings are captured through a strong debrief during which the players reflect on and learn from their outcomes. The world is becoming increasingly complex and this calls for appropriate tools on how to deal with the world’s commons. The Climate Challenge aims to provide players with insights into the dynamics at play and to stimulate reflection on collaboration between different players with different interests and perspectives. The Climate Challenge is based on the tragedy of the commons, complexity theory, game theory and cooperation strategies. What lessons do you remember best? Textbook texts or those where you experienced a problem yourself and had to think hard about it? 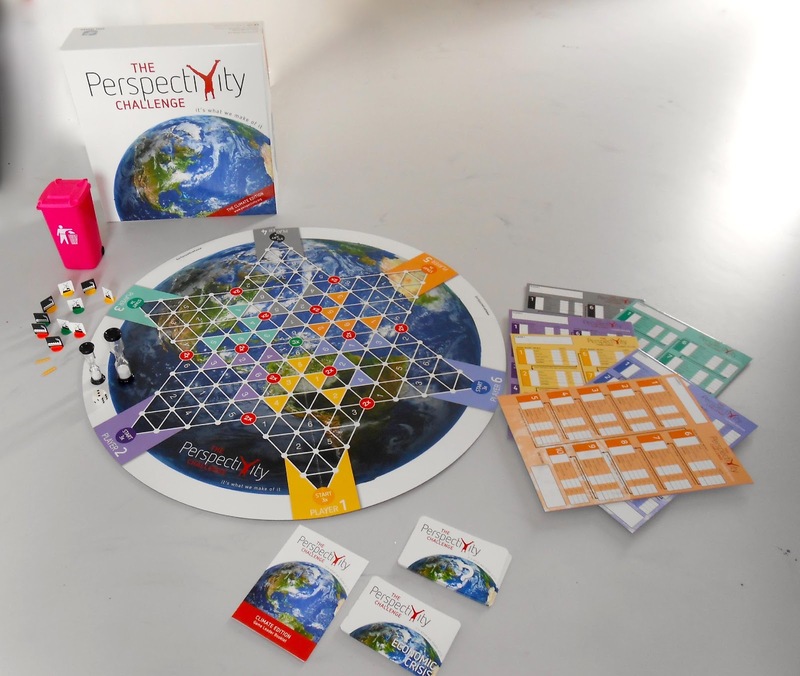 The Perspectivity Challenge creates a lesson from experience in the social dynamics of complex issues. Each challenge puts its players in the shoes of key decision makers. During the challenges, participants will face the issues that our world leaders are all too familiar with: growth spurts, limited resources, international negotiations, downturns and conflicts. They experience the impact of the choices of individuals as well as of groups make. 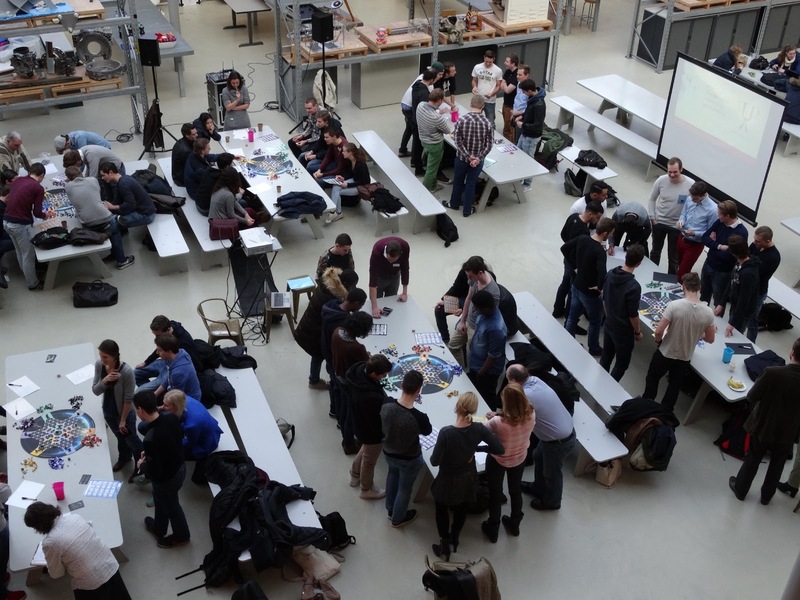 The Perspectivity Challenge triggers a unique learning experience that will leave the participants with an improved understanding of how a sustainable future could materialise. The Perspectivity Challenges have been played with a wide range of participant groups. In recent years Challenges have been organized all over the world, for large companies like Shell, Nespresso and PriceWaterhouseCoopers, for NGOs such as Greenpeace, universities including the University of Amsterdam, the London School of Economics and the London School of Hygiene and Tropical Medicine, for the World Bank, the Asian Forum on Global Governance, the Asia-Pacific Programme for Security Officers, the Arab Bank, the Dutch Tax Authorities… and many more. The Climate Challenge was the original Perspectivity Challenge. It later inspired the development of other games, such as the Food Challenge, the Decision-Making Challenge and the Human Security Challenge. Although the game focuses on combating global warming, it is our experience that playing the game always causes the temperature in the room to rise with a few degrees. Perspectivity challenges are offered in a three-tier tariff set-up; Profit-sector €89,- p.p., semi-profit sector €59,- p.p. and Non-profit €29,- p.p. Licensing is possible under special arrangement, which includes a Training of trainers. Perspectivity uses the proceeds of Perspectivity Challenge sessions for further investment, with the objective to give as many young people as possible the chance to learn valuable lessons about navigating complexity.